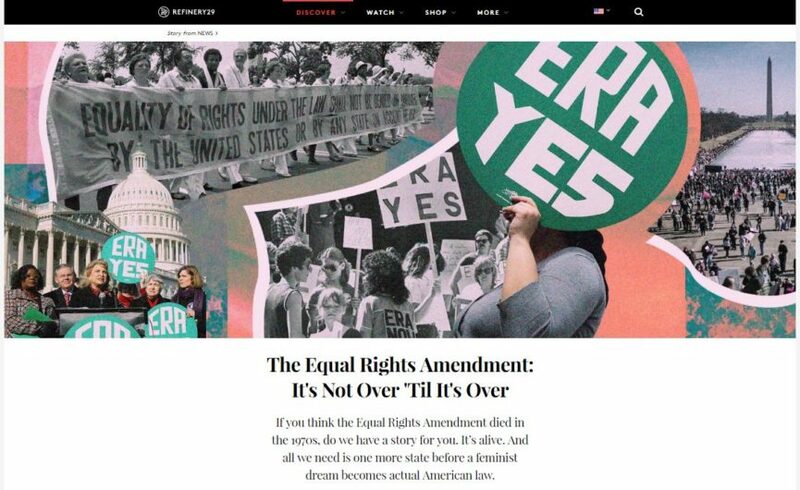 We are thrilled to share an important new article about our movement to ratify the ERA from Refinery 29, a digital-media and entertainment company for young women with a global audience of 550 million across multiple platforms. “From that first anachronistic moment, meeting the ghost of Alice Paul, it was like complete certainty. This is what I need to do. It’s just not okay that we disregard the millions of women-hours over the past 100 years that have been put into making sure that this basic principle that all people are equal be added to the Constitution. We cannot abrogate our responsibility to adopt that principle as a nation.” – Kamala Lopez to Refinery 29’s Amelia Harnish. 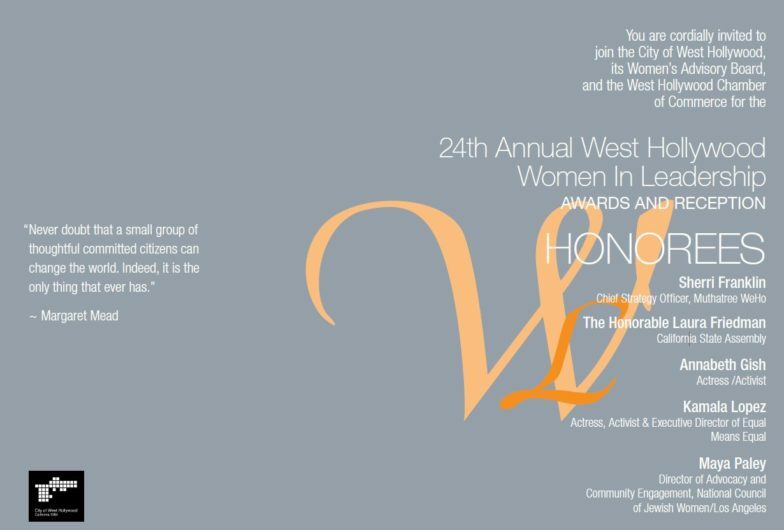 And for any of you in Los Angeles on March 27th, EQUAL MEANS EQUAL’s Executive Director, Kamala Lopez, will be receiving the Women in Leadership Award from the City of West Hollywood and its Chamber of Commerce. We would love to invite you to come to the award ceremony and reception. Fifteen dollar tickets support A New Way of Life Reentry Project, which provides housing, case management, pro bono legal services, advocacy and leadership development for women rebuilding their lives after prison. Thank you, as always, for your kind support. Your donation to EQUAL MEANS EQUAL helps us organize local actions in the states most likely to ratify. Give today to help us pass the ERA.